For the ultimate in personalised tuition, you can’t go past a private lesson. Your instructor will boost your confidence, work on your style and raise your skills to the next level. 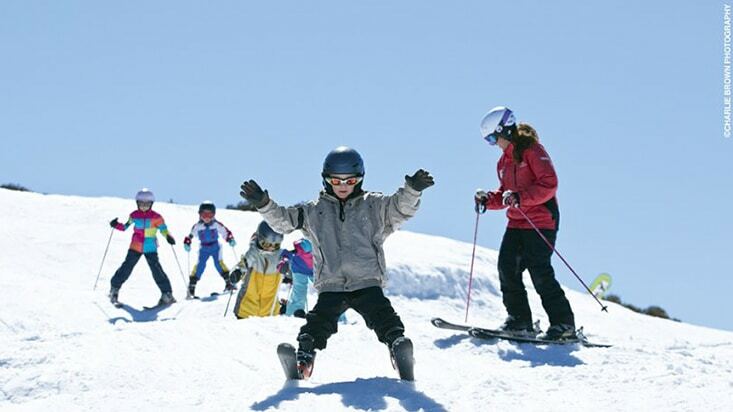 Learning through the Snowsports School also gives you lift priority via the Snowsports School Express Line. For the day of your lesson you will need a Snow Pass with a Lift Pass and Snowsports School Lesson pre-loaded onto your Snow Pass. You can do this all via the Estore. You will also need to be suited up with your snow gear, helmet*, skis and boots or snowboard and boots. If you require rentals it is highly recommended that you organise this at least the night before the lesson to save you time, especially during the weekend. The meeting point for all lessons is at the front of Cloud 9, there will be marked flags for each level - this is at the top of the Halley’s Comet chairlift. We recommend joining the Halley’s Comet line in Slalom Plaza 30 minutes before the lesson start time you give you enough time. Advanced skiers and boarders can take a late afternoon private lesson for Advanced terrain in the Summit area. 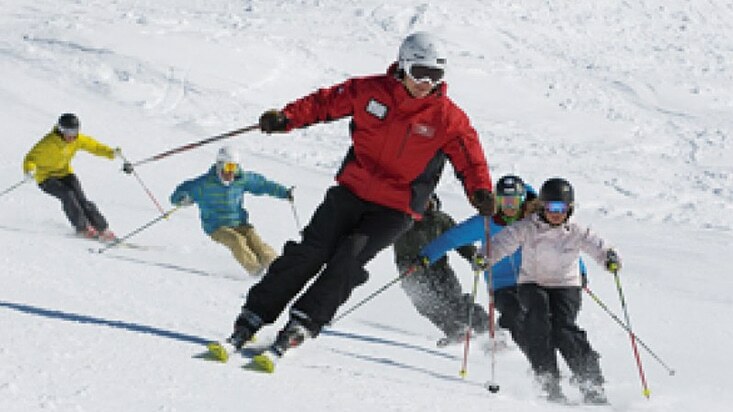 If you want to take your skiing and snowboarding to the next level and make the most of our most challenging terrain, Black Diamond Private Lessons are for you. Choose from 120 minute and 90 minute sessions from 3:00pm and 3:30pm respectively and explore the steeps and bumps of the Summit in the late afternoon. *Extra person rates available on all lessons. Family: 2 adults, 2 kids must be of same standard. Child 6-14 yrs. Other lesson times available. Please contact us for pricing. All private lessons must be paid for in full at the time of booking. Amendments can be made, subject to availability, up until 24 hours prior to the lesson start time at no charge. Amendments made within 24 hours of lesson start time, subject to availability, will incur a $25 amendment fee. Cancellation of private lesson can be made up until 24 hours prior to lesson start time at no charge. Cancellations made within 24 hours of lesson start time are non-refundable. If your lesson is missed due to a full lift closures a snow credit will be issued. Private lessons are subject to availability. Cancellation and amendment fee is $21.